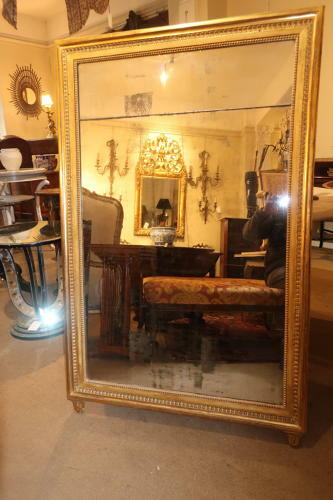 An early 19th Century gilt Mirror, all in very original condition,with old mercury split glass plate nicely foxed, and frame with original golf leaf. Rectangular in shape standing on small feet. A good elegant example.